And now: meet Katey Howes! I’ve always been an outdoors girl with a fascination for the night sky. 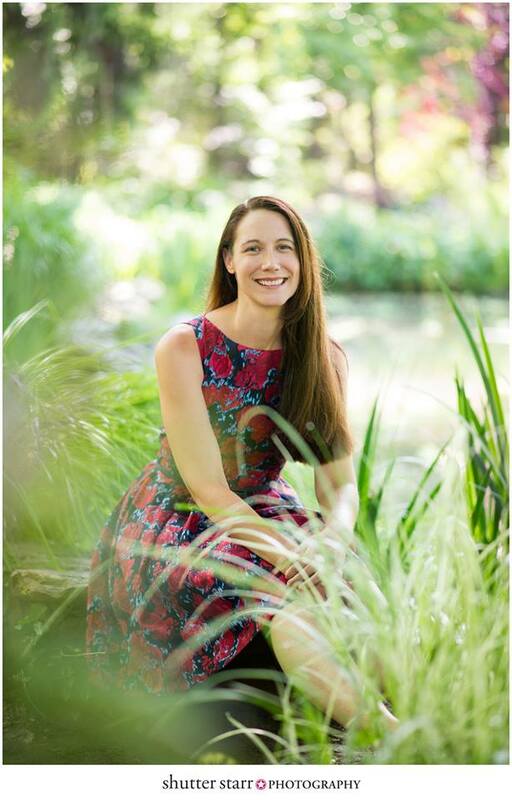 Growing up in Detroit, I left the city through reading – devouring books about farms, forests, and wide open spaces, as well as stories about constellations, space travel and starlight wishes. My favorite memories were made during summer trips to my grandparent’s lake house, chasing fireflies and watching the moon rise over the waves. They were made at summer camp – singing around the campfire or creeping through the hushed woods on a night hike. These days, my kids and I are outdoors all summer long. We stay up way too late, waiting for the sun to go to bed so we can look at the night sky, chase fireflies, and tell stories around the fire pit. We read by flashlight in blanket forts. And no matter where we are – the beach, that same old lake house, or our own backyard – we bring books along. Here are some of our favorite books about our favorite summer things: fireflies, starlight, and magic. They are wonderful reads anytime – but extra special by flashlight after bedtime! This interactive picture book is a perfect exploration of magical night sounds and sights for young children. Much like Matheson’s Tap The Magic Tree, the pages of Brightest Star encourage readers to tap, whisper, wave and wish. A beautifully engaging book for bedtime or anytime. 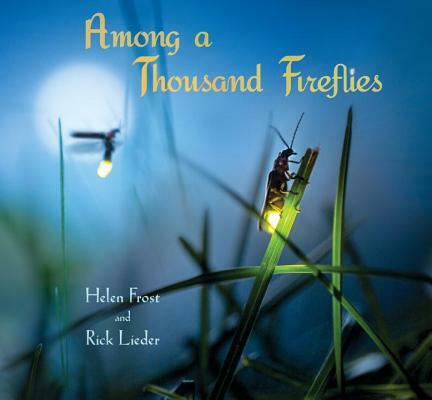 With stunning nature photography and poetic language, Frost and Lieder have created a captivating story of one firefly, searching for her perfect match, amidst the twinkling lights of thousands. It’s magic at its best, because it is real. My children are fascinated by this book and discuss it almost every time they see fireflies in the sky! This book struck a chord with my eldest, who adores mythology and folk tales. The illustrations are gorgeous and rich, sprinkled with starlight. The text introduces ten mythical figures from Greek and Roman mythology found in the starry sky. It’s a book that makes kids want to stay up late and stare at the heavens. 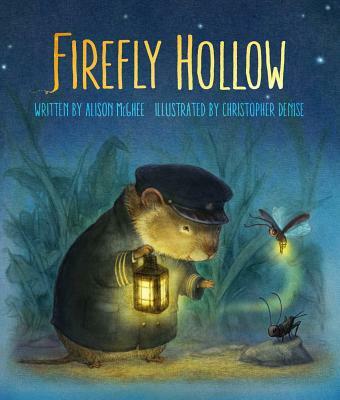 Firefly Hollow is a perfect chapter book for families who enjoy animal stories like A Cricket in Times Square or Mrs. Frisby and the Rats of NIMH. Four characters from very different walks of life – a firefly, a cricket, a vole, and a “Miniature Giant” named Peter – don’t have much in common. Except big dreams. The imagery and action keep kids’ attention, and the unlikely friendships are a source of both humor and inspiration. Journey into magical territory with Maddy, who leaves city life to spend a summer with her grandmother, deep in the Louisiana bayou. Maddy is frightened at first, but the glimmering fireflies, haunting stories and roving freedoms of her grandmother’s lifestyle soon grow on her. When an oil leak threatens the bayou, Maddy realizes her heritage brings with it power to save the people and places she loves. It’s a wonderful read aloud, dripping with atmosphere and bursting with enchantment. 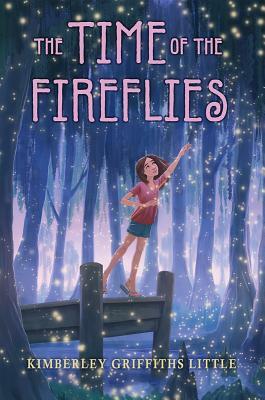 A great summer read from an amazing author, The Time of the Fireflies will fascinate readers from 9-13. Also set in Louisiana, this tale follows Larissa Renaud on a time-traveling journey through family history as she unwinds curses, legends, and secrets. The book keeps readers on the edge of their seats with plenty of action and mystery. I’m totally cheating by including this book on a starlight and fireflies list, but I really want everyone I know to read it! Between its pages, 10-year-old Micah Tuttle discovers that magic is real, that his Grandpa’s wild stories were all true, and that love has to be handled with care. Each chapter opens to a black-and-white illustration loaded with stars (see, I DID have a reason to include it!) that will have readers eager to read on and discover more. I have to admit, I was wary of this book when I read the flap copy. The set-up – a teen party that gets out of control and ends in a legendary poet’s cottage burning down – sounded a little contrived. 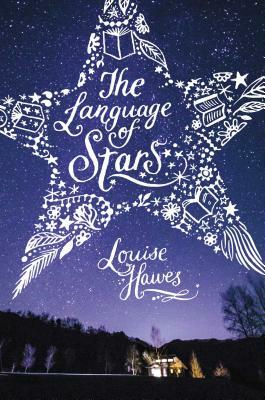 Luckily, I trusted Louise Hawes’ ability to weave a story rich with emotion and tension. The teens in question are sentenced to community service…and a poetry appreciation class. From then on, I was hooked. The poetry interspersed in the text reveals so much and adds a beautiful lyricism to coming-of-age themes. 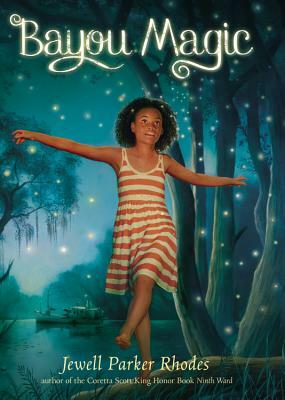 A captivating starlight read for ages 13 and up. 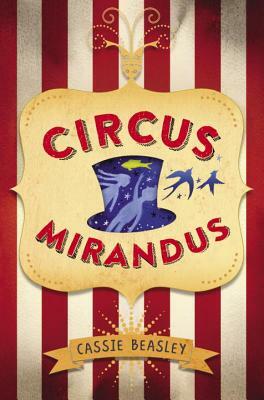 I did not plan to include this book in my round up, but I really couldn’t resist. 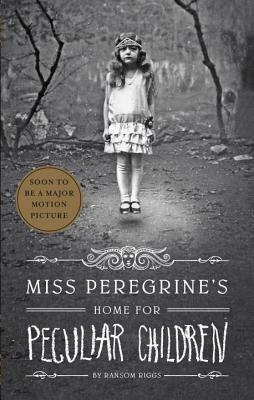 Miss Peregrine’s is the best kind of round-the-campfire, scare-your-socks-off, haunt-your-dreams-creepy story. It just had to make the list. As Jacob discovers the truth about his family, about his Grandfather’s life and death, about dark forces at work all around him, we are drawn deeper and deeper into his world by the vintage photographs illustrating the story. The best starlight moment? Jacob is hidden in a pitch black shipwreck underwater when bio-luminescent fish appear and create constellations in the water. He surfaces to a starry sky and deep realizations…right before battling other-worldly man-eating creatures. That’s summer reading! Thanks for these great summer suggestions, Katey! I absolutely love Touch the Brightest Star! There’s a chapter book called Starry Skies and Fireflies (part of The Friendship Garden series) that fits your theme nicely.